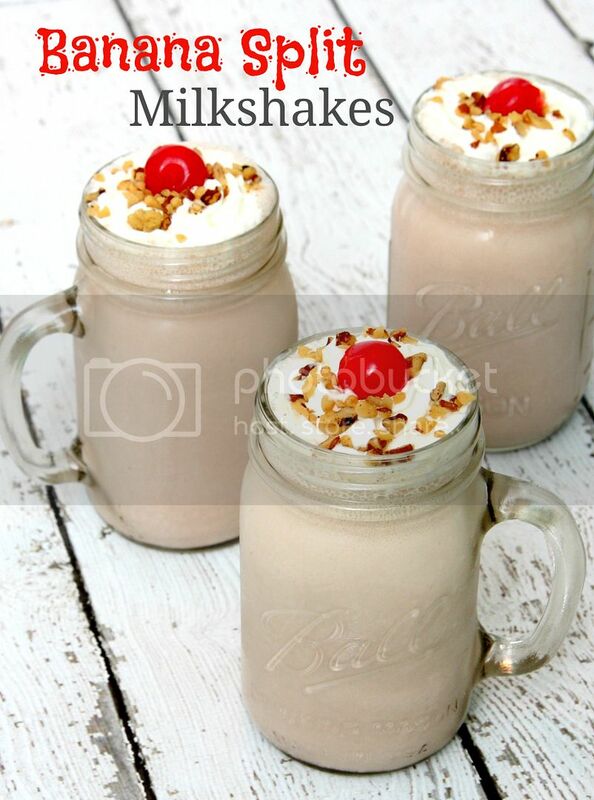 There is nothing better than a delicious milkshake and these Banana Split Milkshakes are sure to put a smile on your face! Growing up my mom made us milkshakes all the time for dessert and now it is a little tradition that Connor and I do together. We love to experiement with different flavors and ingredients. The other night Connor was asking for a Banana Split and I was craving a milkshake so I decided it would be more fun to make Banana Split Milkshakes. 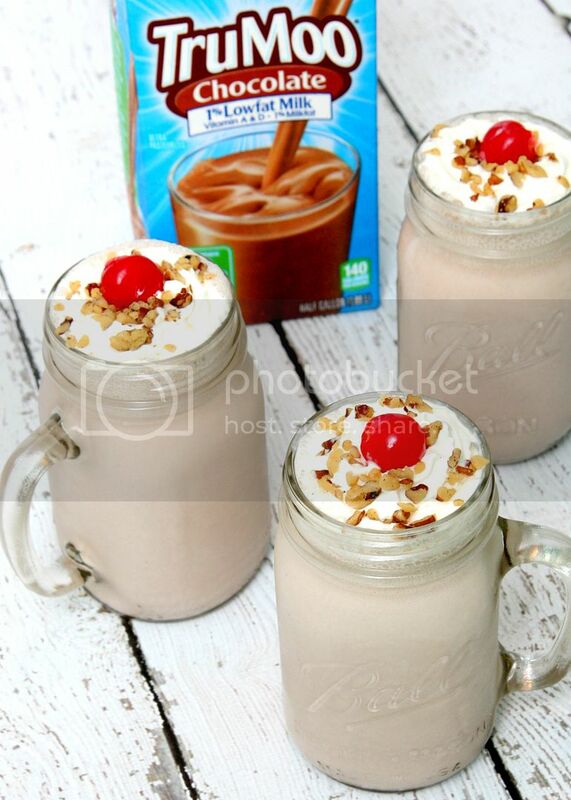 To make this shake, I used TruMoo Chocolate Milk and it was the perfect addition to this delicious shake. Connor and I are both huge fans of TruMoo. Connor loves the way it tastes and I love that it is made with fresh low fat milk and contains 8 essential nutrients with no artificial growth hormones and no high fructose corn syrup. 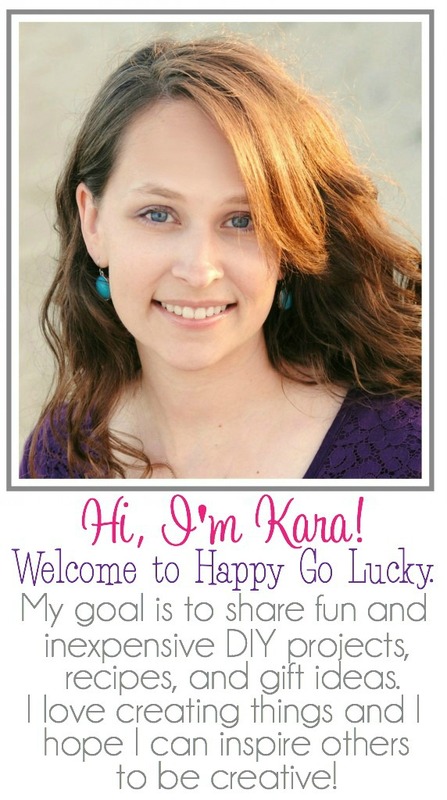 Such a fun treat!! We will definitely be making these again soon. 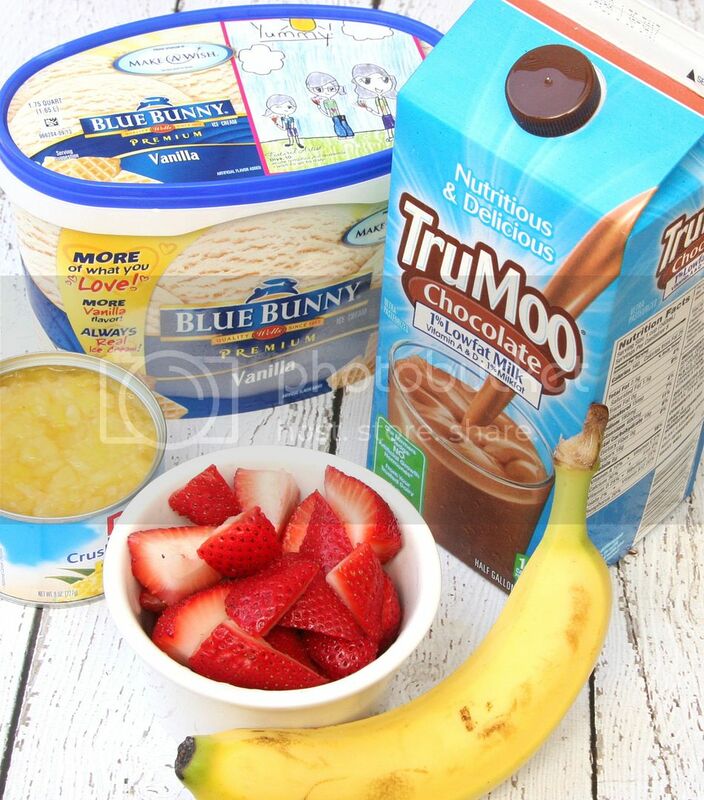 Want to See more great ways to enjoy TruMoo? Follow TruMoo on Facebook and visit TruMoo for more information about their products. TruMoo is available is in Chocolate, Strawberry and Vanilla. They even have a coffee creamer that I can’t wait to try. Yum! Those sound so good! Kara, these milkshakes looks delicious! Now you have me craving a banana split! I have tried all of their varieties, including the vanilla they have at Halloween, except the chocolate marshmallow. I can seem to find that in my area. i would love to try the chocolate milk!! !